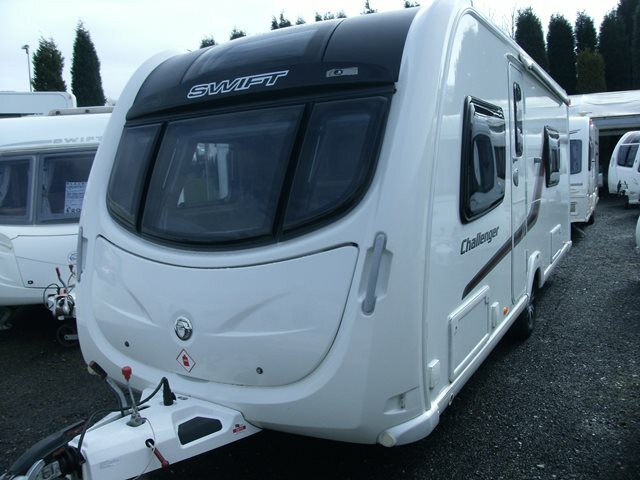 Our used Swift Challenger 570 SR is shown below, for more information please contact us. This 570 is part of Swift's mid-range Challenger series and has all the comforts you could possibly need. It features a fixed double bed, spacious end washroom, fully equipped kitchen and two front bench seats that turn into the second double. Couple this with alarm, microwave, external BBQ and mains points, AL-KO ATC stability control, and panoramic front sun roof and you really have a home away from home so come and visit us to check it out! For further information please contact us on 01384 413336 and ask for a member of the sales team.